Regardless of the sentiment and interpretation of the 10,000 BTC short position of Sep 1, prices seem to be bottoming out. At current prices, BTC is up nine percent in the last week and two percent in the last 24 hours. We expect coin specific fundamentals to prop prices going forward. As such, placing longs on every pull back in line with last week’s gains will be trading with the market participants keen on thrusting prices past $10,000. The Bitcoin market is on limbo on whether to short or buy in direction of the “new found bull momentum”. It all had to do with that massive 10,000 BTC short position of Sep 1 and while prices did soar, it also syncing perfectly with aftermath of previous short positions of Q2 and 3 2018. Time and time again, it has been shown that prices temporarily rally in a perfect short squeeze before tumbling in consequent sessions as bulls are overwhelmed by strong wave of sellers reflecting open short positions. When we take a look at Bitcoin, prices are rising against expectations and this by itself is brewing contrarian theories. However, at the moment, the most important thing is whether Bitcoin bulls can maintain prices above $7,200 and prove short sellers wrong. John MacAfee is not shy of controversy. 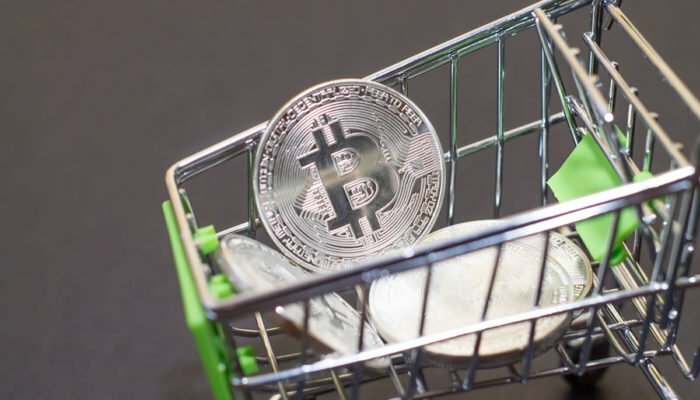 On numerous occasions he has been quoted placing Bitcoin prices above $250,000 and even $1 million depending on prevailing sentiment. Aside from his outrageous Bitcoin predictions, he is also an influencer for hire. Money talks for John and backing a cryptocurrency wallet, BitFi his reputation is on the line. The wallet company claims its product is “unhackable” and a secure cold storage device. Their claims turned out to be a mockery for researchers who went to great lengths to find flaws on their code. At the end of the day, it turned out to be vulnerable and a sieve. Two times determined security research companies manage to breach this wallet stealing users private keys through a cold boot attack. 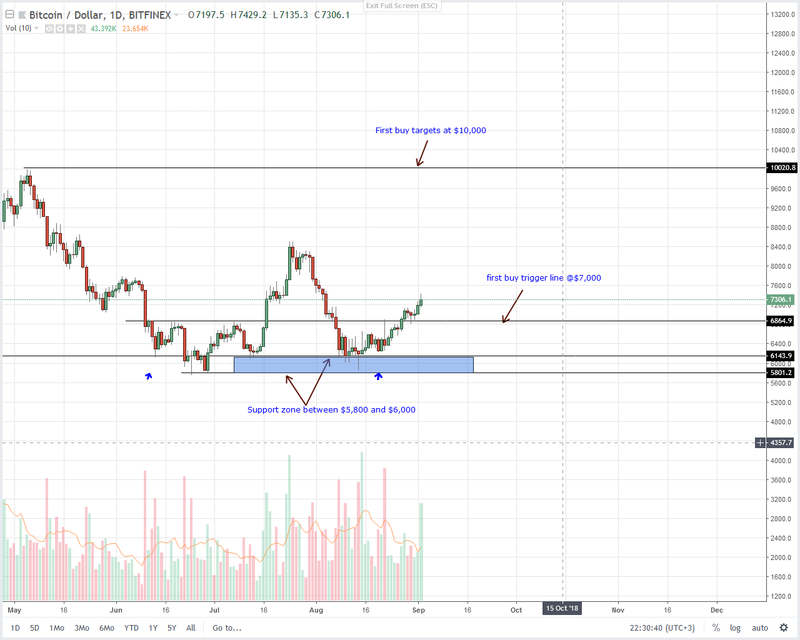 Now, from previous BTC analysis, traders were anticipating for this recovery and close above those major resistance points before loading on pull backs. 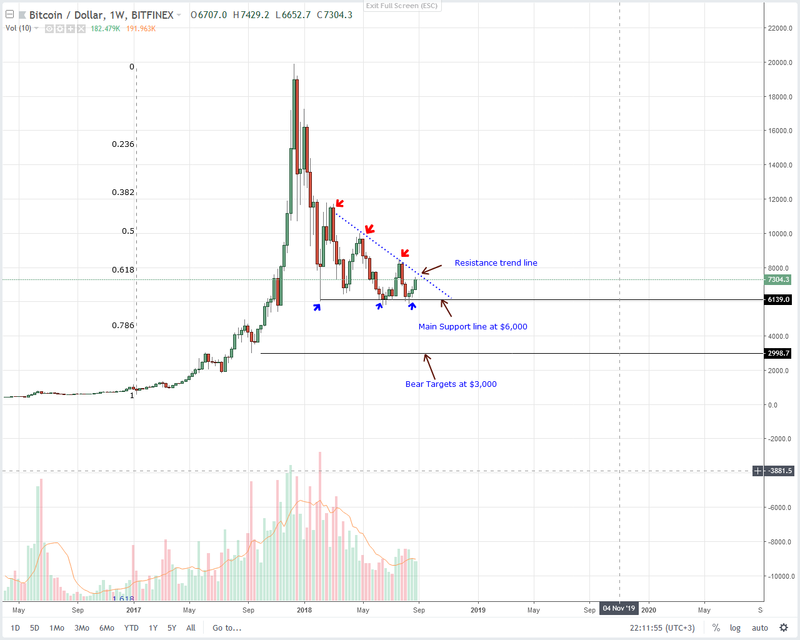 Because it is now live, we suggest buying on dips in lower time frames with stops at $7,000 and first targets at $8,500 and later $10,000.